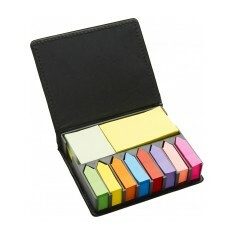 Want to colour code all your notes and important articles so you can find them in the click of a finger? 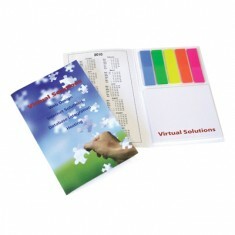 Our promotional Sticky Page Markers are designed just for that. 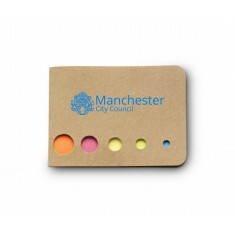 Personalised Sticky Page Markers are incredibly handy for when you have busy meetings with lots of different notes or are trying to revise for those all important tests. 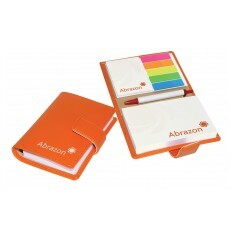 We have a selection of branded sticky page marker products which can be printed in spot or full colour and range from compact books you can slip into your pocket to desktop wonders to help you get through. So when it comes to grabbing a customised page marker, make sure your customers are doing it from one branded with your design. When you’re revising, the last thing you want it to be scrambling for those elusive post it notes because the tabs didn’t have enough space to write on it. That’s why we love our custom printed Flag and Note Dispenser, it has 5 different colour flag markets to help you differentiate notes and on the other end it gives out sticky notes just in case you need to make any longer points. 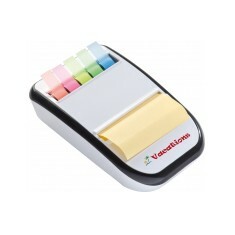 Branded with your design, this dispenser will look at home at any desk be it in a student flat or on a your own office desk. Got your design ready to go or need a some extra help on deciding the best one for you? Give our experienced sales team a call and we can help guide you. We can even arrange for samples to be sent out to check for yourself! 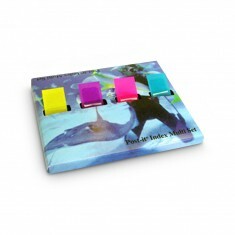 A brilliant promotional desk set for your clients. The hardwearing laminated c.. 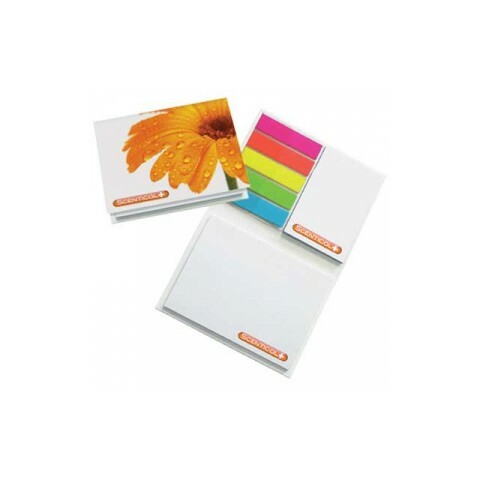 Highlight important notes or key pages with our branded Post-it®Index Note Di.. 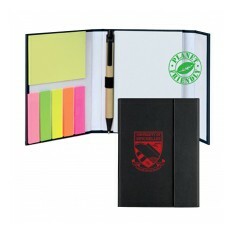 Useful desk item with 5 different colour marker flags and sticky notes.